Friends of the Family (Hong Kong) Social Enterprise (http://fofhk.org/) is a social enterprise startup which aims to resolve family needs by innovative O2O (online to offline) solutions. We rely almost on the dedication and business talents of our employees. If you’re hard-working and adventurous then we have a position for you with a startup in Hong Kong. This phase of internship program will be focusing on the strategic transformation of the business. The company have newly enganged a bouqiue strategy house which was founded by strategy consultants with corpoate, business and growth straegy development capablities and expereince gained from both top-tier consulting firms and within Global 500 corporations. Interns will split their time between working with the FOFHK core mangement team and working directly with the strategy consultants on coporate strategy development projects. 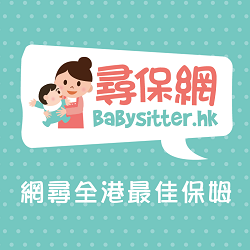 Friends of the Family (Hong Kong) Social Enterprise is a social venture which aims to resolve family needs by innovative O2O (online to offline) solutions. Founders of the company are young professionals who aspire to discover thoughtful and unique market position for its products to create impact to families. The Company was started in Hong Kong in February 2014 by 3 alumni from the University of Hong Kong, the Chinese University of Hong Kong and Peking University. Friends of the Family (Hong Kong) Social Enterprise has been gaining traction and is looking for 2 motivated interns to work with the Company’s founders on an exciting opportunity. We have been able to generate interest in our business organically through news and media outlets with articles written about us in TVB News, the Sun, Hong Kong Economic Journal and On.cc Media. This internship provides hands-on experience working at a social enterprise startup and the interns will be working on functional and strategic areas to identify operation efficiency optimization opportunities. We guarantee intern with significant responsibility and substantial opportunities to utilize their talent and imaginations. Working on a real, live startup in a great entrepreneurial environment. Firsthand experience implementing your own ideas and strategies. Exposure to the vibrant O2O (online to offline) industry with the potential to return as a fulltime employees upon graduation. Our business model allows us multiple avenues for expansion and growth. We want to test our idea in Hong Kong and then bring it to larger markets in the Greater China region (Taiwan, Macau and Mainland China). You will be working closely with the co-founders in getting the brand name out there. We are looking for at least a 6-months commitment from an intern to participate in our daily operation, and to work with our external consulting team to help us complete the strategy development project. University students/graduates/postgraduates with a keen interest in being involved in a startup or entrepreneurial firm in any sector. There is no salary for Interns. FOFHK will cover all direct expenses incurred in the programme. For consideration, please email a resume and cover letter to hr@fofhk.org on or before 30th June 2016.